Cost Refer to Booking Form for the latest pricing. The Mining Risk Management course is based around the Coal mining industry and is applicable to both surface and underground coal mining operations. On successful completion of this course, trainees will have acquired the skills and knowledge to enable them to implement and apply risk management processes within an established system for a mine site/area. The course specifically targets coal mine workers who are required to undertake facilitation and auditing of formal risk assessments and those who are involved in the review and auditing of risk management processes and systems. 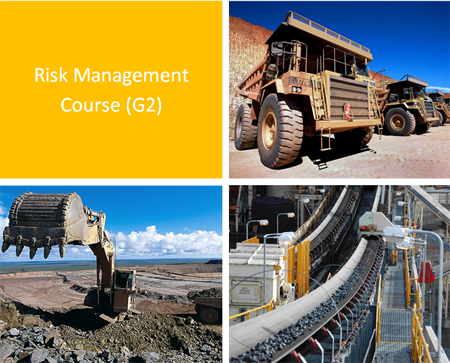 The mining risk management course is often a requirement for mine workers to allow them to progress their career in the mining industry to the position of a leading hand, supervisor, Superintendent, OCE, Deputy or those who are elected as Site Safety and Health Representatives. Please contact our office on 1300 ZEROHARM (07 4987 7340) for specific costs associated with site based training.